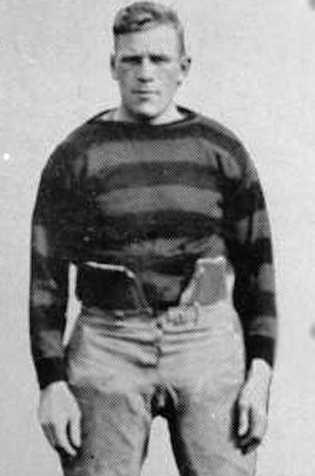 Alfred (Cap) Fear started his Canadian football career with the Toronto Central YMCA Juniors, and played on the squad with future Canadian Football Hall of Famers Lionel Conacher and Harry Batstone. Fear was a great outside wing who helped his teams win six Interprovincial Rugby Football Union (big four) championships, and three Grey Cup championships. The Toronto Argonauts lost only one game during the 1921-1922 seasons. Fear was an All-Eastern All-Star six times during his career, and was named to the Hamilton best of the century All-Star team for the amateur era. In addition to football, Fear participated in hockey, was a runner-up Welterweight champion of Canada in boxing and stroked for the Argonaut Rowing Club. He stroked the eights and fours to Canadian Henley Regatta championships on the same day.